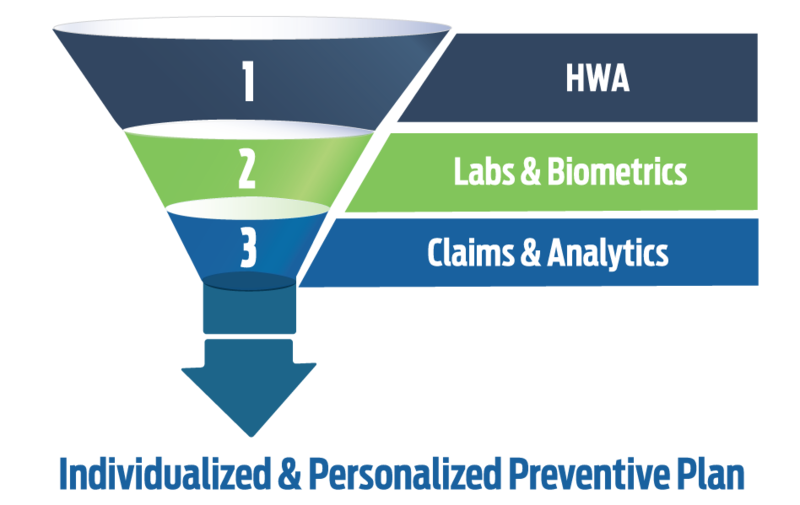 We are not always aware or feel the effects of certain underlying health risks which is why the results from the Health & Well-Being Assessment (HWA) and Labs & Biometrics Screening are an integral part for the development of the personalized Preventive Plan Member Report. The results from these two keystone components are used to create the comprehensive roadmap of the member’s wellness journey. We start by getting to know the member through the HWA, which consists of questions, based on Dr. Edington’s and Dr. Loeppke’s research, that assess health and lifestyle behavioral risks. The responses from the HWA are combined with the results from the Labs and Biometrics to calculate the detailed information about the member’s current health status and identify any underlying health risks that may need attention. The benefit of this knowledge helps the member engage in healthy lifestyle behaviors to prevent or reduce the risk of developing a health condition or chronic disease. The lab results consist of a lipid panel and fasting glucose and the biometrics consist of height, weight, waist measurement, and blood pressure reading. Onsite lab events at the employer’s place of business, or any other location such as a company-wide conference or a centrally located meeting site. This can be done via finger stick or venipuncture. Lab vouchers to use at a Clinical Laboratory Improvement Amendments (CLIA)-certified lab convenient to the member’s location. Physician Certification forms for use by members who have had or are scheduled for a recent physical that captures the required data. A1C testing and/or cotinine testing may also be added to accommodate the needs of the employer.